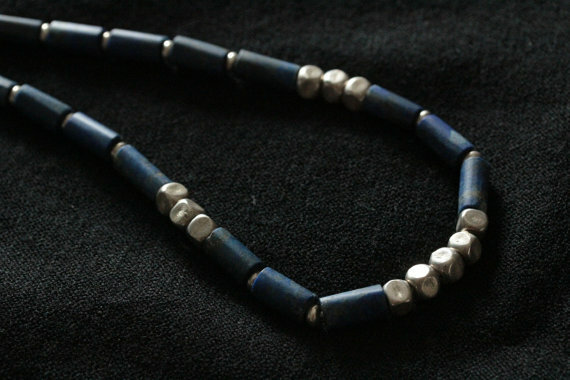 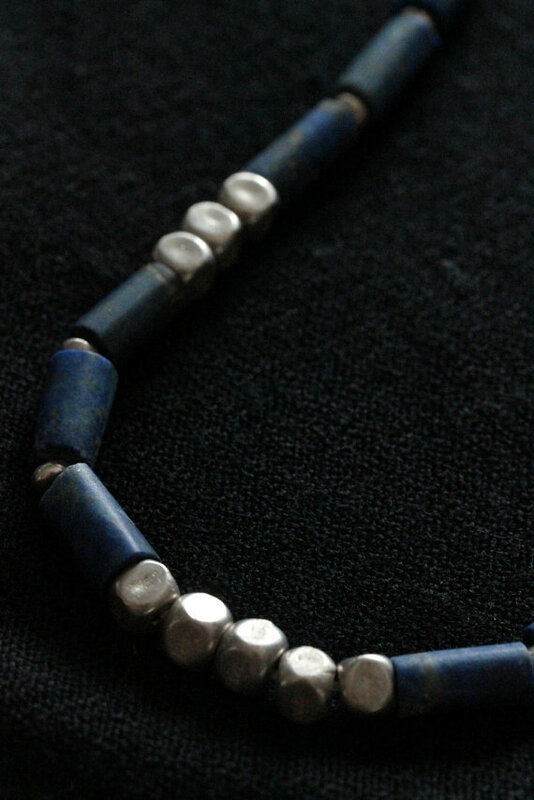 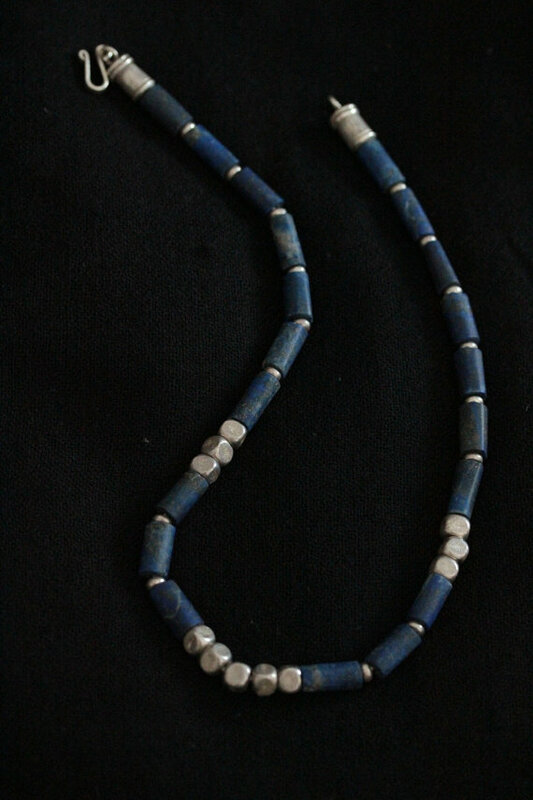 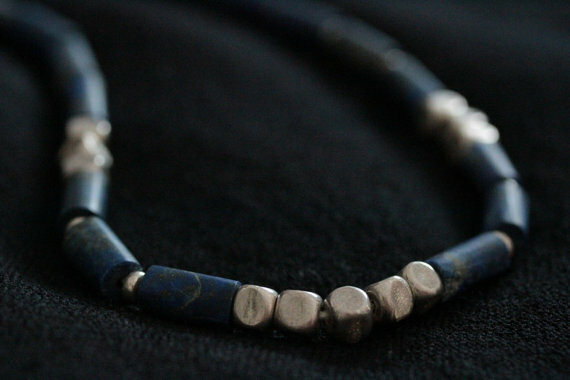 This classy necklace is made of a series of tube-shape polished lapis lazuli beads and silver rounded box-shape cubes. 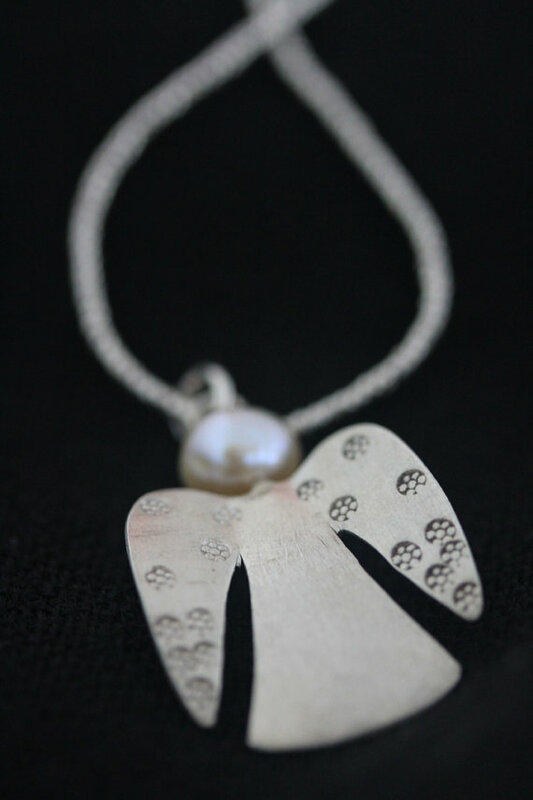 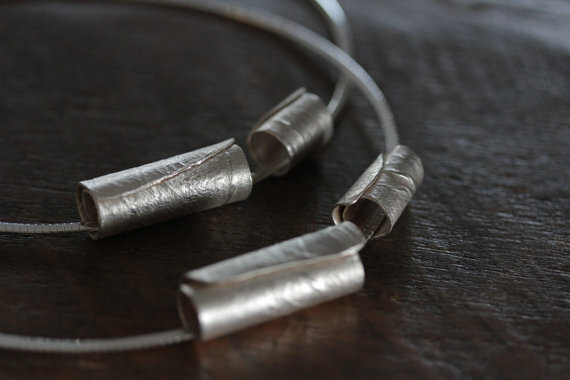 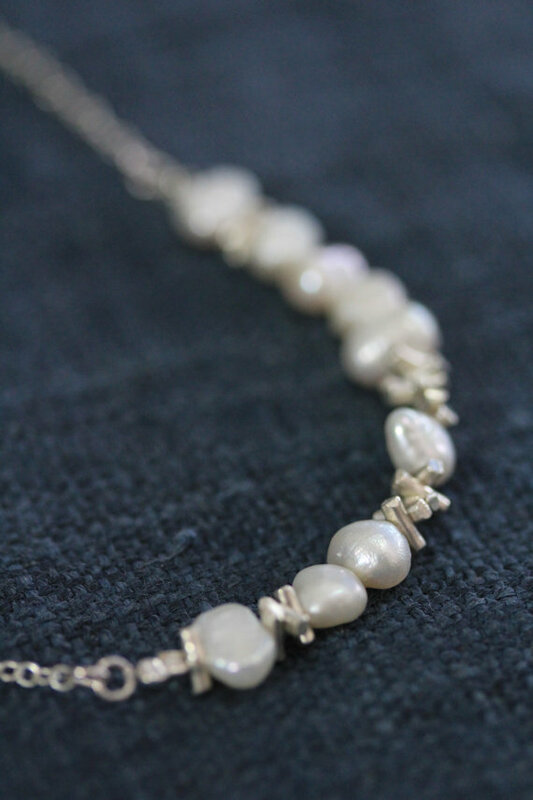 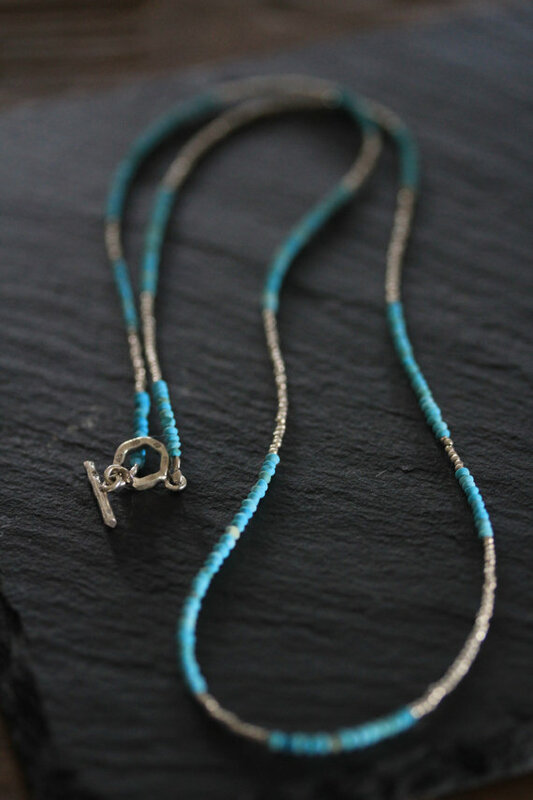 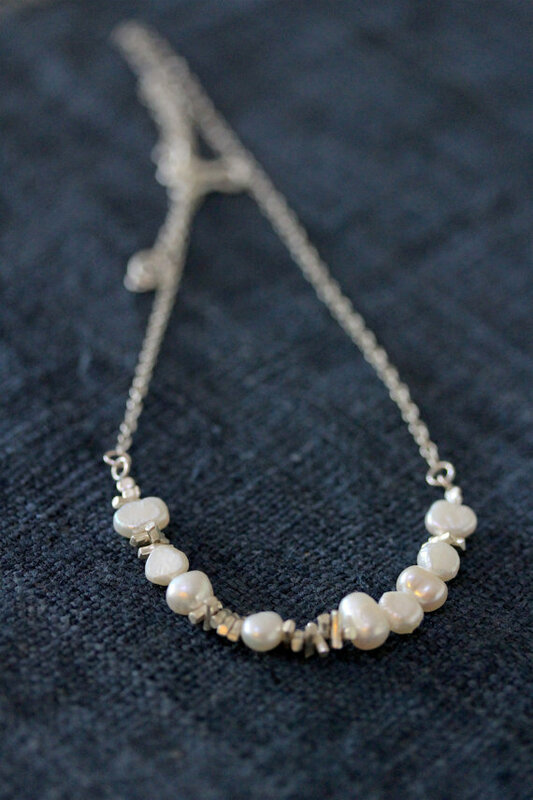 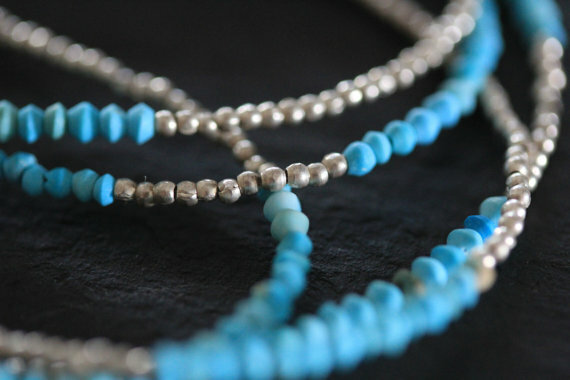 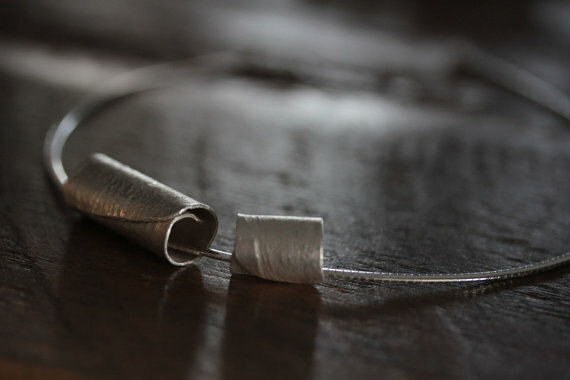 The necklace closes with a beautiful handmade silver hook. 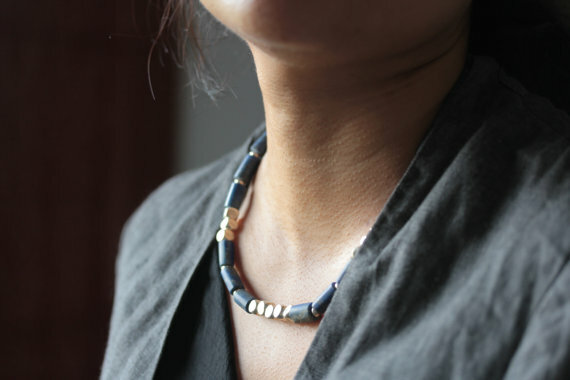 It is simple, with slight ethnic touch and can easily go with anything you wear.